This guide only applies to Senior District Webmasters with advanced webmaster rights. You'd like to switch the type of carousel used on your homepage. SLS2 offers 3 types of carousels. All types have options for transitions, different aspect ratios, buttons or arrows, and some sort of caption. Ribbon: Banner floats on top of the image and includes text and a button. Showcase: Banner text and button are below the image. Gallery: Optional caption appears in a thin strip at the bottom of the image. Select the Carousel Module by clicking it once. Make sure that the label has a white text on a black background. Otherwise, you've selected a slide in the Carousel. In that case, click again on the gray bar above the images. Use one of the arrows on the toolbar. This will insert a module either above or below the selected Carousel. 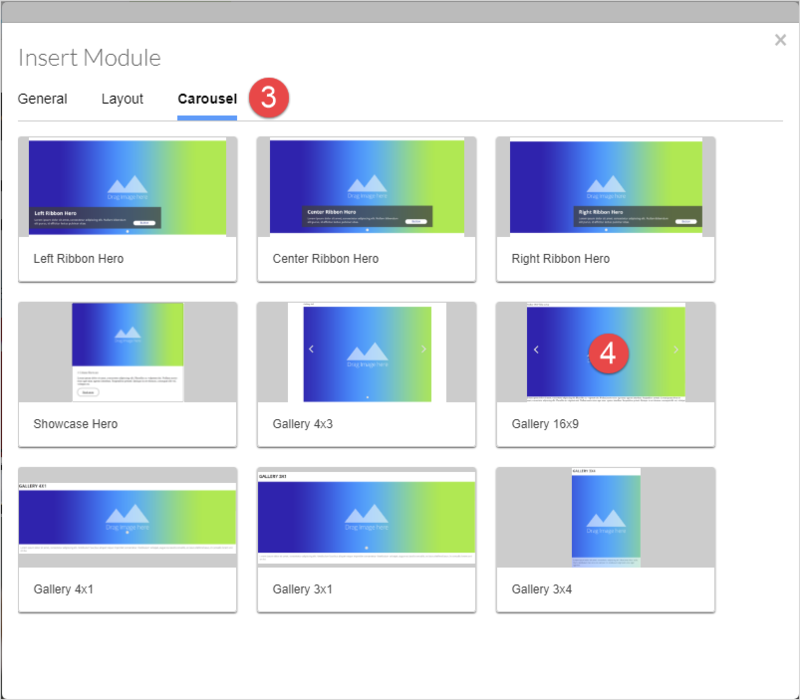 In the Insert Module popup, choose the Carousel tab. Click the desired type of Carousel. You'll now have two carousels stacked vertically. Select the one you wish to remove and click the trashcan icon on the toolbar. That's it! Be sure to save your changes. The selected carousel can be seen on the slide.